Our LC community prayed The Way of the Cross at our founding parish church, St. Stanislaus. LC students, faculty, alumni, staff visited three churches on Holy Thursday Night for Adoration, this was our visit to MMR. LC Announces Class of 2019 Valedictorian Benjamin Ahern (SASH) and Salutatorian Olivia Marquardt (Corpus Christi)! Sportsmanship - LC's softball team hosted West Catholic's team for a cookout after a recent game at LC. Our students competed last week at the FBLA State Leadership Conference in Hershey. Lead by Business Dept Chair, Mrs. Lisa Wright-Polk was Kyle Quigley '19 (Corpus Christi), Steve Irvin '20 (SASH), Andrew Robinson '20 (Mater Dei), Emily Handschuh '19 (MMR) and Owen Webster '21 (St. Jude). Emily placed 5th in Sales Presentation and Andrew placed 9th in Political Science. Senior Day Recognition for Boys Tennis Team; Yinchuan Zhao, Matt Petusky (MMR), Ben Roman (Visitation BVM), Zach Shepardson (St. Stanislaus), Ethan Smith (St. Jude), Hannah Radi (MMR) and Kelly Orner (Corpus Christi). LC Principal Ms. Rita McGovern welcomed our Juniors to their Prom. Seniors Matt Koonce (St. Jude) and Marleena Detweiler (St. Marie Goretti/Mater Dei) shared their thoughts on faith and preparation for senior year, with our juniors at the retreat held recently at St. Rose of Lima Parish. Congratulations to our All Catholic Orchestra performers: Cara Marquardt '22, Zach Shepardson '19, Madeleine Gaunt '22, Su Kang '21, Christine Kim '19, Anna Durning '20, Olivia Marquardt '19. Congratulations All Catholic Chorus students; Kyle Pizzichillo '20 (MMR), Marielle Mussoline '20 (MMR) and Jack Agnew '20 (Visitation BVM). Natalie Collier '22 (Mater Dei) and Alexandra Frick '22 (St. Genevieve) joined LC President, Jim Casey and Business Dept Chair, Lisa Wright-Polk in Harrisburg for the FinLit Forum. Our Robotics Team, 272 Cyber Crusaders, won the District Engineering Inspiration Award at their FRC event at Westtown Regional. Congratulations to our Connelly & Msgr. Schade Merit Scholars of the Class of 2023. Don't forget the Welcome Meeting for the Class of 2023 is Thursday, April 30. 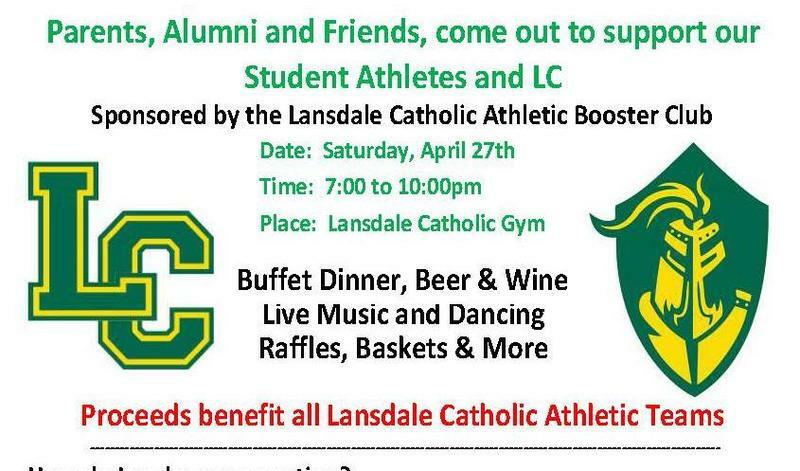 Lansdale Catholic's Booster Club is holding a Beef & Beer for parents, alumni and friends with all proceeds supporting our athletic programs. It is being held at the school from 7-10 pm with a buffet dinner (beer & wine), live music and dancing. You can make your reservation online by clicking on the link above. We are beginning to prepare for our Tuesday, April 30th Welcome Meeting for the Class of 2023, so please follow the link to apply NOW for the Class of 2023 or if your student is already accepted and you need to register by credit card, you may do so by following this link. CatholicPhilly.com recently asked several students from Lansdale Catholic to share their thoughts on Eucharistic Adoration. 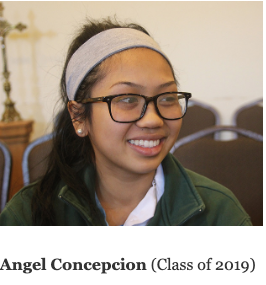 Click to listen to the beautiful testimonials from Angel Concepcion '19 (Mater Dei/St. Stanislaus), Peter McHugh '20 (Corpus Christi), Camille Formica '19 (St. Jude), John McCabe '19 (Corpus Christi) and Zach Shepardson '19 (St. Stanislaus). Father John Nordeman, Director of School Ministry, also provided his insights on how adoration transforms the students’ spirituality at Lansdale Catholic. Registration for Summer Camps at LC Now Open! Summer at LC is your chance to be extraordinary, be you, and be LC! We offer a wide range of camps for young people from 1st grade all the way through high school. Explore your interests, discover your talent, hone your athletic skills…from the arts to athletics, from STEM to Rock and Roll, Summer at LC is the place to be! Register by May 8, 2019 for a 10% early bird discount. Click on headline to learn about all of our camps and register today! 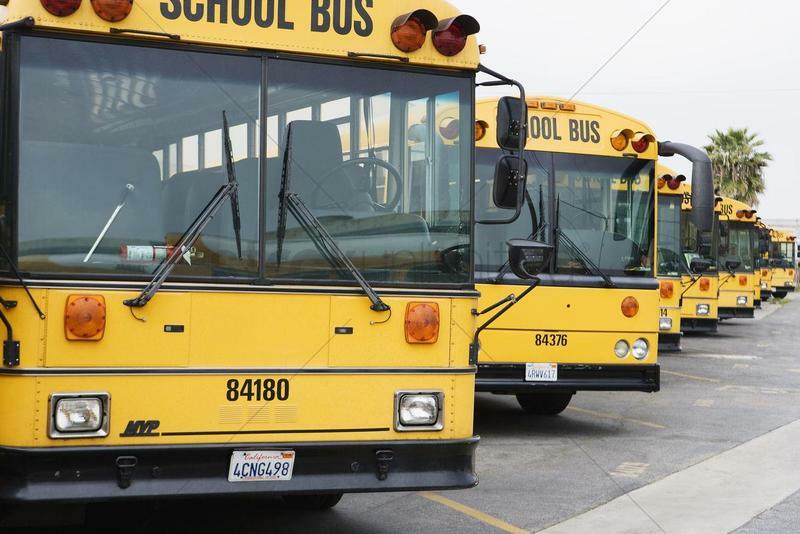 LC has 12 public school districts that provide transportation for our students; North Penn, Wissahickon, Methacton, Upper Dublin, Upper Moreland, Pennridge, Souderton, Central Bucks, Norristown, Colonial, Hatboro-Horsham and Perk Valley. Please see the dates that each school district will honor our early dismissal dates.